Step into the future of higher education at the NACUBO 2016 Annual Meeting, July 16–19, in Canada. 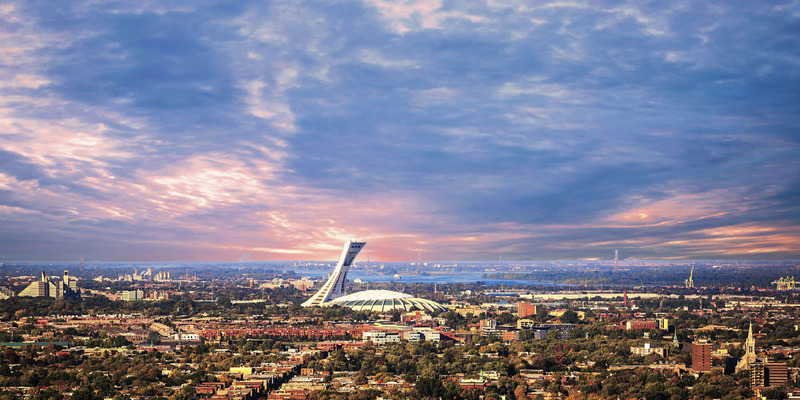 A host city with a flair for honoring the past while embracing the future, Montréal is the ideal location for forward-looking professional development, based on firm foundations. The city of Montréal at sunset. 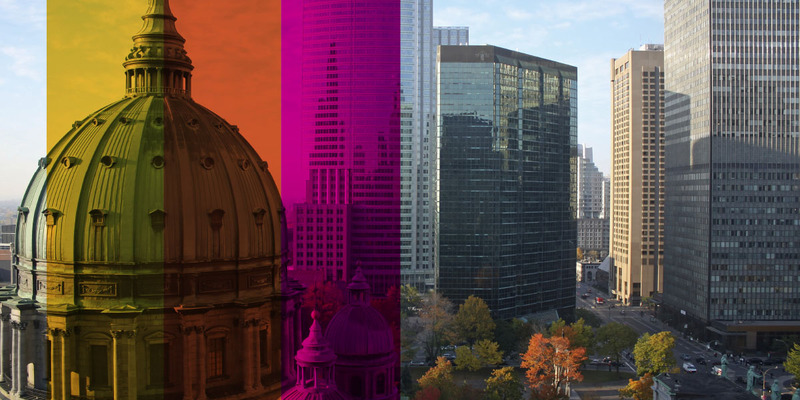 Multifaceted and dynamic, Montréal is the largest city in the Canadian province of Québec. The vibrancy of the city stimulates the senses through education, history, food, and culture. In a city that’s effortlessly blending the old with the new, visitors and residents alike are able to easily explore all that Montréal has to offer. Home to historic cathedrals, museums, and buildings that date back to the 17th century, old Montréal is the hub for the city’s culture. At the Notre-Dame Basilica you can take in religious art, including an interior chapel that was inspired by Sainte-Chapelle in Paris; in the Centre d’histoire de Montréal you will find exhibitions on the history and heritage of the city; and Château Ramezay, the first building in Québec to be classified as a historic monument, offers community-based educational and cultural activities that link the past to the present. With a rich and extensive history, it’s no wonder that the city also offers a bustling art, fashion, and food scene. New art institutions like DHC/ART and Phi Centre offer exhibition and performance spaces; specialty boutiques display the latest in eclectic fashion designs; and, with a wide range of culinary options from modernized French fare to gourmet markets, Old Montréal is now the city’s top neighborhood for quality restaurants. The city is known for its diversity and features its own Chinatown, Little Italy, and Little Portugal, which add to the robust cultural scene. Montréal has all of the above, but add to that list its energetic and lively summer festival series, and it becomes a top go-to North American city. 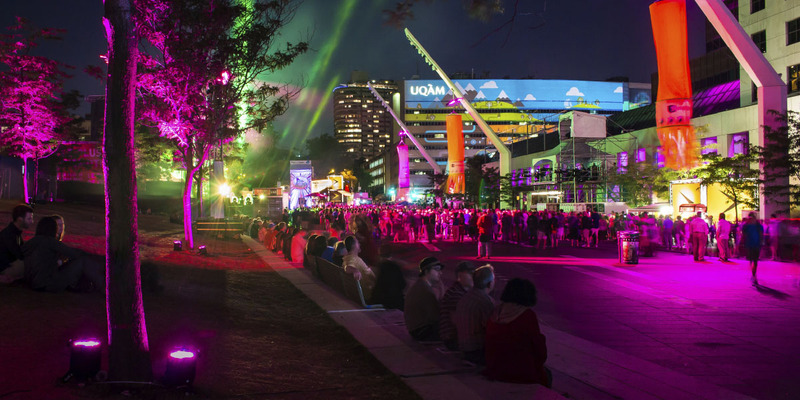 Every summer, the city hosts Just for Laughs, the world’s largest comedy show; Montréal International Jazz Festival; Montréal World Film Festival; Montréal Fireworks Festival; and much more. With all that the city has to offer, it’s no wonder that it was named a “city of design” by UNESCO, and one of the 10 happiest places in the world by Lonely Planet travel guide. As Montréal thoughtfully infuses new traditions with its prominent history, it is the perfect backdrop for this year’s NACUBO annual meeting, themed “Les Fondations for the Future.” Through general, concurrent, and specialized sessions, attendees will learn how ideas from the past and successes and challenges from the present are building the foundation for the future of higher education. Overcoming New Challenges in Endowment Governance. The investment challenges that institutions face today are more difficult than ever. How can you best fulfill your fiduciary responsibilities in this period of market uncertainty? During this session, hear how leaders at three institutions each went about deciding how to manage their endowments in this rapidly changing environment. Strategic Management of Price and Aid: A Necessity. Shrinking demographics in the traditional college-bound market have resulted in increased competition among colleges and universities, while pressure to increase tuition revenue has mounted from many directions. This session will explore the many challenges facing institutions and identify the tools necessary to succeed. Attendees will also gain a contextual understanding of the pressures for institutions to increase revenue, and why this financial stress necessitates the application of market-informed strategic management of pricing and aid. Preparing Leaders for a Successful Transition. Transitioning to an unfamiliar institution can be exciting, challenging, and one of the most stressful times in life, particularly if one is relocating to a different city. In this session, leaders will share their experiences with recent transitions and offer strategies for ensuring a solid start in a new position. They will also suggest ways to support new leaders during their shift to a new institution. Show Them the Money: An Approach to Faculty Salary Adjustments. After years of providing less-than-competitive salaries for faculty, the University of Montevallo, a small public liberal arts university in Alabama, set out to drastically improve faculty salaries. Learn how Montevallo leaders implemented their overall plan, secured board buy-in, and succeeded in significantly increasing faculty salaries on their campus. Taming Deferred Maintenance Before the Roof Caves In. The growing need for capital renewal at both U.S. and Canadian institutions is real, and, on many campuses, overwhelming. Unfortunately, the solutions are less evident. Some business officers and facility managers have figured out strategies to break down deferred maintenance into smaller portfolios of work that can be managed over time. Hear how specific campus strategies in the United States and Canada can help leaders set priorities, apply limited funding most effectively, and evaluate maintenace versus demolition. Becoming an Agenda Mover: Mastering the Leadership Skills of Political Competence. Leaders are constantly faced with the challenges of dealing with both internal and external interest groups. They must be trained to anticipate the positions of stakeholders and understand the resistance of others. This requires a necessary level of political competence to navigate the complex environment of relationships, rules, and procedures. Through case exercises specific to business officers, attendees will practice the microskills of leadership—that can then be implemented on their campuses. Current Fraud Trends and Their Mitigation Techniques. Data breaches, cyberscams, and fraud schemes are all too common today. The impact of such events can stretch far beyond financial to include reputation, customer satisfaction, and trust. The recovery process can be lengthy and expensive. Fortunately, there are ways to protect your institution. During this session, speakers will discuss current fraud schemes, Payment Card Industry (PCI) compliance, and data security, as well as other tools and techniques that institutions can leverage to mitigate costly breaches and cyberattack risks. Investing in Resilience for the New Climate Leadership Commitments. The American College and University Presidents’ Climate Commitment (ACUPCC) has been an impactful national initiative on campuses, requiring operational and educational investments in the areas of energy efficiency and renewable energy. This session highlights the experiences of two chief financial officers, who will provide examples on how investments in community infrastructure and distributed energy systems improved campus resilience and also aligned with the new commitments. An Integrated Financial Model to Support Long-Range Planning and Funding. Northwestern University, Evanston, Ill., is using its long-range planning model to accelerate the strategic growth needed to enhance the university’s academic and research standing in this highly competitive environment. This session will focus on Northwestern’s collaborative and integrated financial planning approach across the organization in support of its strategic plan, and how it links with a state-of-the-art financial model. The New Hybrid College Bookstore Model. Providing affordable textbooks and course materials is a key priority for many institutions, and in the past few years several new solutions have emerged. One such solution that has shown promising results is the new hybrid college bookstore model. It combines a school-sanctioned e-commerce website, with an on-site campus store that offers students a diverse mix of new higher-margin, higher-growth items and unique services. Discover how this new model provides institutions with greater flexibility to test and transition to new digital learning platforms and materials. Improving the Student Pipeline at Minority-Serving Institutions. Institutions serving minority populations play a critical role in educating tomorrow’s leaders, but experience unique pressures in maintaining their vibrancy and attracting students. Panelists will discuss the challenges faced by these vital institutions and the opportunities presented by nationwide changes in the racial, ethnic, and socioeconomic profiles of future high school graduates. This session will also examine proven strategies for strengthening the pipeline of prospective students. Building for Your Future. Although the financial crisis slowed capital investment, a period of relatively low-interest cost on debt has motivated many leading institutions to spend billions of dollars on traditional brick-and-mortar facilities. Student demand, academic eminence, programmatic investment, and long-deferred maintenance are often the motivating factors for capital investment. This session will focus on strategies for aligning capital spending with strategic priorities; new modes of capital financing such as the use of public-private partnerships; and how capital projects are facilitating news ways of teaching and learning. Business Management and Organization. In a decentralized budget model, academic unit leaders are responsible for both the academic and financial outcomes of their programs. Hear how one institution implemented its decentralized budget model by collaboratively and efficiently utilizing a 24-member task force to develop and examine the proposed model. A House Divided? Strategies for Successful CBO/Faculty Engagement. A lack of collaboration and communication among faculty and academic leadership and the CBO and his or her key staff can create financial and regulatory risks. In this session, a senior faculty member and dean, along with both a current and former CBO, will share their experiences and facilitate a discussion among attendees on successful strategies to bring these eclectic parties together. Executive Presence: Your Visibility and Its Impact on Your Career Trajectory. Your executive presence is a dynamic combination of what you say, what you do, and how you show up. These elements are not equal but all are essential, if you want to take charge of your professional trajectory. This fast-paced session will share research on being visible, sponsored, and promoted—all part of the executive presence required to make your own choices and take control of your career. Cirque and Cuisine—the opening event. The NACUBO conference kicks off Saturday evening with two of Montréal’s most noteworthy creations: culinary delights and the cirque. A dazzling performance by Cirque Éloize will present entertaining animations of the conference theme Les Fondations for the Future. The highly skilled cirque artists will express their multidisciplinary talent, strong acrobatics, and humanity. Be prepared to witness astonishing and interactive innovations. The opening event will take place at the Palais des congrès de Montréal. Cirque Éloize will provide dance and theater, during the NACUBO 2016 Annual Meeting opening event. NACUBO Fitness. Evidence confirms that exercise has profound benefits on brain function in the areas of learning and memory. NACUBO wants to help you stay on top of your game by offering fitness options each day of the annual meeting, including Yoga instruction on Sunday and Tuesday. 5K Run/3K Walk. Early Monday morning, the truly dedicated of NACUBO are invited to participate in the 5K Fun Run. Transportation will be provided. Old Montréal and the Old Port of Montréal. Step back to relive the romance of days gone by amidst Old Montréal’s cobblestone streets and 18th- and 19th-century stone buildings, taking time to view and appreciate the Notre-Dame Basilica. Once home to Canada’s wealthiest neighborhood, the Golden Square Mile features some of Montréal’s most luxurious real estate with gorgeous Victorian homes and tree-lined streets. Enjoy its rich history as you visit the charming shops in the area. The Palais des congrès de Montréal, home to the NACUBO 2016 Annual Meeting, is a convention center located in the Quartier international de Montréal at the north end of Old Montréal in the borough of Ville-Marie. Downtown Montréal. The bustling downtown scene is a study in contrasts. Victorian brownstones huddle under skyscrapers, while the latest architectural marvels soar beside stately neo-Gothic churches. The stores, museums, galleries, restaurants, and green spaces present a moving canvas peopled with the 9-to-5 crowds, students, locals, and tourists. When night falls, the hectic pace becomes more relaxed, as friends congregate for after-work cocktails on terraces, in bars, or at the city’s main festivals that are a mainstay of activity. Mount Royal Outremont. Once its own town, Outremont was incorporated into Montréal in 2002 and is a mere five minutes from downtown. In this mountainous area is Mount Royal Park, one of Montréal’s largest green spaces. The park, most of which is wooded, was designed by Frederick Law Olmsted, who also designed New York’s Central Park. Officially opened on Queen Victoria’s birthday, May 24, 1876, the park sports numerous paths and impressive lookout points that offer hours of recreation and photo opportunities. Also found on its slopes are two of the city’s oldest cemeteries. Nearby, on the park’s outskirts, are the campuses of two universities and Saint Joseph’s Oratory. Plateau Mount-Royal and Mile End. The nerve center of Montréal’s bohemian and trendy cultural scene, this area is a lively mix of cafes, bars, boutiques, bookstores, art galleries, and designer shops, which stand alongside former textile mills and multicolored houses. The local crowd mingles here for breakfast, shopping, and mingling. The urban life of the neighborhood reflects the multicultural origins of its residents. Parc Jean-Drapeau. 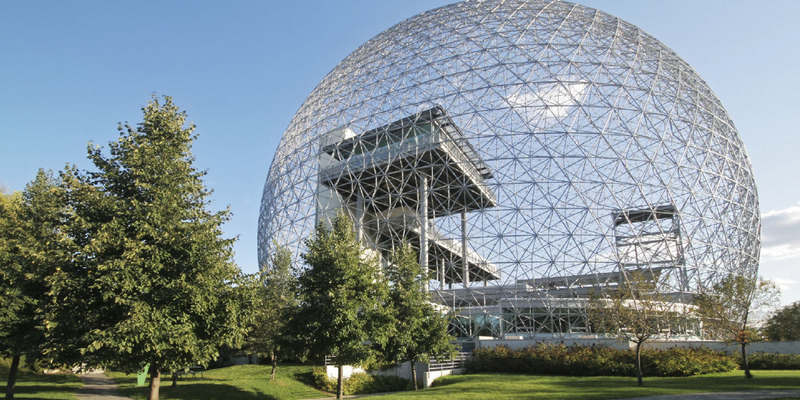 Spanning two islands in the middle of the St. Lawrence River, the Parc Jean-Drapeau is home to a multitude of facilities and recreational opportunities. This green oasis is a haven for sports, recreation, nature, and culture. A network of multidisciplinary trails—25 kilometers (15 miles) of which are cycling paths—winds through a lush natural setting accentuated by creative public artwork and opens up to magnificent panoramas of the river and the adjacent downtown skyline. In the summer, the park offers a beach, three heated outdoor pools, La Ronde amusement park, two museums, and a casino. This exceptional location holds a variety of festivals and events all year long. Dining. Food is a Montréal passion, proven by the fact that it is the North American city with the largest number of restaurants per resident. From five-star restaurants to eateries to hard-and-fast local favorites, the city offers one-of-a-kind experiences to tantalize any and all palates. The variety of fare on offer embraces the culinary tradition of some 120 cultural communities, includes a wealth of local produce, and is enhanced by the boundless creativity of local chefs. In this city, eating is an experience in and of itself, often based on blending haute cuisine and timeless recipes from Québec’s past with locally grown ingredients. This year’s general session speakers will share insights on higher education of the past, present, and future, and what today’s business officers can do to remain ahead of the curve and prepare for the shifting dynamics at colleges and universities. International speaker and best-selling author. 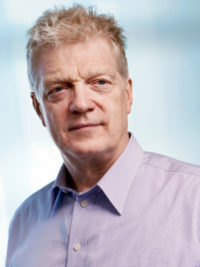 Sir Ken Robinson, author of The Grassroots Revolution That’s Transforming Education (Viking, 2015)—which includes groundbreaking research and tackles the critical issue of how to transform the nation’s troubled education system—will speak on Sunday, July 17. His book, Finding Your Element: How to Discover Your Talents and Passions and Transform Your Life (Viking, 2013) was a New York Times best-seller. He’s an internationally recognized authority on creativity and innovation in education and business. Videos of his famous talks to the prestigious TED Conference are the most viewed in the history of the organization and have been seen by an estimated 300 million people in more than 150 countries. Robinson led a national commission on creativity, education, and the economy for the United Kingdom government; was the central figure in developing a strategy for creative and economic development as part of the peace process in Northern Ireland; and was one of four international advisors to the Singapore government for a strategy to become the creative hub of southeast Asia. Dialogue on Diversity. The annual meeting theme Les Fondations for the Future recognizes the strong foundation on which higher education was built and expands our thinking on the new directions in which we need to move in the times ahead. The general session on Monday, July 18, will be a discussion focused on diversity, and incorporates the idea that student activism and the questioning of societal systems can be an incredibly powerful tool for transformation and change. The three-person panel will reflect on the power of education, the importance of understanding differences, and how institutions of higher education can better embrace the diversity and inclusion dialogue on their campuses. Attendees will gain insight and guidance on how to initiate these conversations with their students, faculty, and communities. As campus leaders at the helm of an institution’s administration, chief business officers are uniquely positioned to connect campus sectors and promote collaboration throughout their institutions. This dialogue aspires to provide our members a place to learn and inspire action. Johnetta Cole. As president emeritus at Bennett College, Greensboro, N.C. Cole, has a long career as an educator and humanitarian. She was the 14th president of Bennett College, where she completed a $50 million campaign, opened an art gallery, and initiated programs in African women’s and global studies. Cole’s career as a professor and administrator spans over three decades, which include a number of “firsts.” In 1987, she became the first African American woman to serve as president at Spelman College, Atlanta. She then became the first African American woman to serve as chair of the board for the United Way of America. 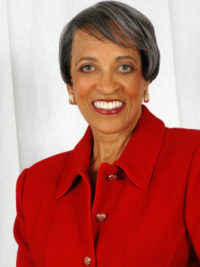 In addition to being president emeritus of Spelman College, and Professor Emeritus of Emory University, Atlanta, she is also the author of numerous publications for scholarly and general audiences. Her most recent publication, co-authored with Dr. Beverly Gu-Sheftall, is Gender Talk: The Struggle for Women’s Equality in African American Communities (One World/Ballantine, 2003). Cole, who serves on various boards and is a consultant on diversity matters, has received numerous awards, including the TransAfrica Forum Global Public Service Award, the Dorothy I. Height Dreammaker Award, the Joseph Prize for Human Rights presented by the Anti-Defamation League, among many others. Her powerful messages prove that barriers are meant to be broken, and the most unlikely people can achieve the ultimate rise to success. 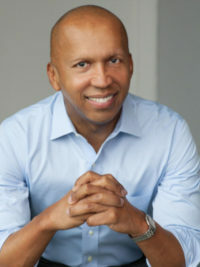 Bryan Stevenson. A MacArthur fellow and founder of the Equal Justice Initiative, Stevenson is a founding leader of the movement against mass incarceration in the U.S. He also recently served on President Obama’s task force on 21st-century policing. After graduating from Harvard Law School, Cambridge, Mass., and moving to the south, Stevenson started the Equal Justice Initiative. At the time, the region was on the verge of crisis—states were speeding up executions and many of the condemned lacked appropriate legal representation. The cases he took on would change his life and transform his understanding of justice and mercy. Referred to as “America’s young Nelson Mandela” by Nobel Peace Laureate Desmond Tutu, Stevenson’s work has generated national attention and his efforts have reversed death penalties for dozens of condemned prisoners. His TED Talk on the subject of injustice was named one of five essential Ted Talks by The New Yorker. Stevenson is the recipient of the MacArthur Foundation “Genius” Grant and the NAACP Image Award for Best Nonfiction. He was also named one of Time magazine’s 100 Most Influential People for 2015 and is a tenured law professor at New York University, New York. Ray Suarez. A veteran journalist and host of Al Jazeera America’s daily program Inside Story, Suarez has an extensive television and radio career. Inside Story brings together voices from different perspectives and takes an in-depth look at the story behind the headline, and examines how decisions made in D.C. impact people on the ground. Prior to joining the new American news channel, he served as the chief national correspondent for Newshour at PBS, from 1999–2013. Before PBS, Suarez hosted National Public Radio’s Talk of the Nation for six years. His other on-air credentials include the monthly foreign affairs radio program America Abroad for Public Radio International and a weekly political program Need to Know for PBS. He also anchored the weekly Latino politics show Destination Casa Blanca for HITN TV. 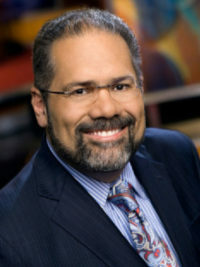 Suarez is the author of Latino Americans (Celebra, 2013), the companion book to the PBS documentary series of the same name; as well as The Holy Vote: The Politics of Faith in America (Harper Perennial, 2007); and The Old Neighborhood: What We Lost in the Great Suburban Migration (Free Press, 1999). In 2010, Suarez was inducted into the National Association of Hispanic Journalists Hall of Fame. He is the recipient of the Ruben Salazar Award from the National Council of La Raza, the Distinguished Policy Leadership Award from UCLA’s school of public policy, and the Studs Terkel Award from the Community Media Workshop. Leading economic expert. Chief economist and co-founder of Moody’s Economy.com, Mark Zandi, who directs the company’s research and consulting activities, will speak on Tuesday, July 19. He is a trusted nonpartisan adviser to policymakers and a reliable source of economic analysis to businesses, media outlets, and the public. Zandi is often praised for his accurate insight and ability to clearly communicate complex topics, including macroeconomics, financial markets, and public policy. 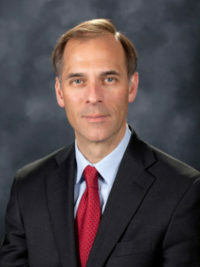 Formerly an economic adviser to John McCain during his presidential campaign, Zandi also provides insight to the Obama administration and testifies regularly before Congress on topics that include the economic outlook, the nation’s fiscal challenges, the merits of fiscal stimulus, financial regulatory reform, and foreclosure mitigation. His recent research has focused on the determinants of mortgage foreclosure and personal bankruptcy, the economic impact of government spending, and appropriate policy responses to market bubbles. Often featured on CNBC, NPR, and CNN, where he shares his economic insight, Zandi is also the author of Financial Shock (FT Press, 2009), a critically acclaimed exposé of the financial crisis. His latest book, Paying the Price (FT Press, 2012), provides a road map for meeting the nation’s daunting fiscal challenges. The New Business Officers Program (NBO), a two-day event planned for July 15–16, is designed to provide resources, information, and guidance to those new to the chief business officer role within a higher education setting. Throughout the intensive two-day workshop, participants will examine the challenges of the role and learn from experienced chief business officers, presidents, provosts, and other pivotal higher education leaders. Key issues for the success of every new business officer will be covered and attendees will have many opportunities to network with colleagues and discuss their day-to-day challenges. An optional late-afternoon session will be offered on July 14, exclusively for chief business officers who are new to the positon and the field of higher education. This session will introduce the higher education culture, along with topics and concepts found in higher education that are not common in the corporate or nonprofit sectors. Attendance at NBO is limited to chief business and financial officers who report directly to the president, and who have been in their current position for less than three years. Registration is limited to the first 50 qualified participants. The Future Business Officers Program (FBO), to be held July 16, is in its third consecutive year. The program is specifically designed for business office staff members ready to gain the leadership skills and organizational perspectives necessary to become a chief business officer. Through interaction with seasoned business officers and other higher education leaders, attendees of this one-day program will gain an understanding of CBO responsibilities, complexities of the role, and the importance of building relationships in the higher education environment. Participants will begin to develop a personal plan of action in preparation for a move to their next career level. Registration is open to college or university employees who aspire to the chief business officer role. This program fills up quickly and routinely sells out. Attendees at either program will earn CPE credits and do not need to register for the annual meeting to attend the workshops. To find out about the program schedule and for more information, visit www.nacuboannualmeeting.org. Blackboard Transact—BlackboardPay: Compliance and Continuity in Financial Aid Disbursements. TIAA—Promoting Social Good: Incorporating Socially Responsible Investments in Your Endowment Plan. Campus Logic—Transform Your Student Financial Aid Experience in 30 Days. Russell Investments—Clearly Articulating Your Approach to Risk Management. Northern Trust—Private Investments Renaissance in Asia. Aon Hewitt—Retiree Health Care Design and Strategy in a Post-Reform Environment. Bank of America Merrill Lynch—Making Group Decisions: Insights and Innovations in Behavioral Finance. A cross-the-border trip is a perfect opportunity to enjoy the events and culture of another country. Consider extending your stay before or after the conference to explore Montréal and its neighboring cities and provinces. To guide you in making the most of your time, we invited NACUBO members who live in the area to provide their “best of Canada” suggestions for annual meeting attendees looking for additional destinations, entertainment, and activities. Note: This map is for general purposes only. 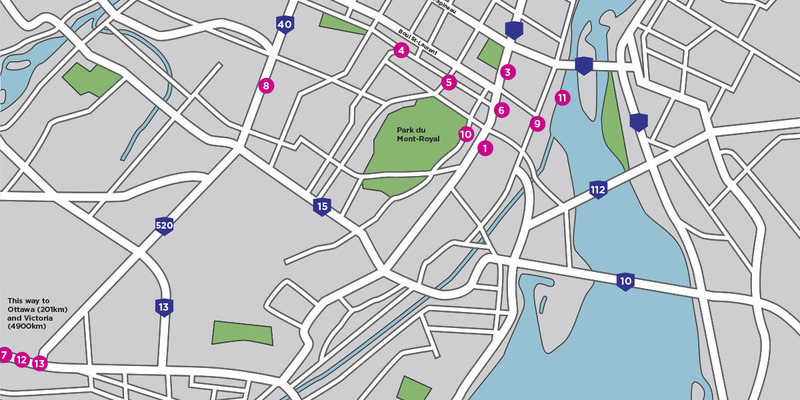 For detailed maps and tour information, go to www.tourisme-montreal.org. Dave Button, vice president, administration, University of Regina, Saskatchewan, Canada. “I am Canadian by birth and have lived in Saskatchewan for 21 years. I have lived from coast to coast, including the province of Québec. I have come to love all aspects of the country and the extreme variety of cultures and hospitality. Montréal, in particular, has a lot to offer, especially great food. You must try the smoked meat sandwiches and poutine, which is a Québec classic. I’m not a cheese curd fan, so I order my poutine without cheese, but even then, it’s still incredible. I haven’t done the museum circuit in Montréal, because there are too many other good distractions. Archana Sridhar, assistant provost, University of Toronto. “I’ve lived in Toronto for almost seven years. I relocated here in 2009, after my husband joined the faculty at the University of Toronto, where I currently work. My favorite restaurant is (9) Olive et Gourmando, in Old Montréal; it’s the cutest restaurant, with great coffee. I love Middle Eastern food, so I would suggest that visitors try (10) Boustan. It’s a Montréal chain, but always delicious and good for a quick bite. If you’re looking for a museum, I would recommend the (11) Montréal Science Center. It’s interactive and fun to explore, especially with kids. Gitta Kulczycki, vice president, resources and operations, Western University, Ontario, Canada. “I’m originally from Canada and have lived in Ontario for four decades, with intermittent periods in Alberta and New Brunswick. If you have time, the city of (12) Ottawa boasts several impressive museums worth a visit. However, while you’re in Montréal, you should try the smoked meat and the poutine—a well-known dish, consisting of French fries, cheese curds, and gravy. There’s also tasty desserts made from Canadian maple syrup that I would recommend. Our salmon—either Pacific or Atlantic—is worth a try as well. This year’s first annual meeting registrant was Alicia Currin, vice president for business administration at Texas A&M University–Commerce. Currin has been in higher education budgets and accounting at TAMUC for the past 34 years, and has served as the vice president and CFO for the last two years. Every year she looks forward to attending NACUBO’s annual meeting because it provides great professional development. She notes, however, that she owes her early registration to her executive assistant, Rebecca Pressley. Alicia asked Rebecca to register her early so that she could be at the conference hotel, but she had no idea Rebecca would wake up at 5 a.m. and register her on the very first day. As the first 2016 annual meeting registrant, Currin received a gift basket, which included an apron and a Montreal-inspired cookbook, along with a personalized message from NACUBO.